Decided to give my WoW post a new look! I added Inigo Montoya to the usual picture, many people remember Inigo from The Princess Bride and his famous speech; "Hello, my name is Inigo Montoya. You killed my father, prepare to die." I choose to remember that as well as his other one-liner, "I hate waiting," that he says when he must wait to fight the Man-In-Black (Wesley) on top of The Cliffs of Insanity! Love that movie! So from now on, on Wednesdays we shall see Inigo next to the usual WoW image! Thanks for stopping by my blog! This book sounds fantastic, I can't wait for it to be released =] I've read some good ARC reviews of it. I had Born At Midnight on my blog a few weeks ago too! It looks really great! This book looks so amazing! Great Pick! I just added this to my wishlist yesterday. Looks really good. This book looks great!!! I'm going to add it to my reading list right now! Great pick! 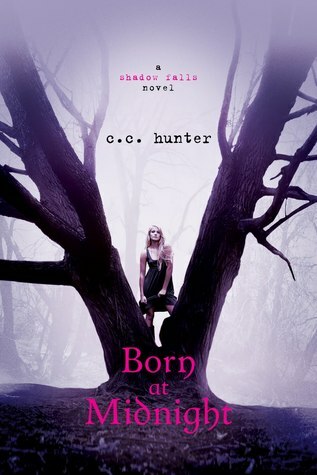 I was able to read an ARC of Born at Midnight and I loved it. Great pick. I really enjoyed it, it was a fast easy read with likeable characters. I'm really looking forward to this one as well! It's already on my March wishlist! Great pick! Here's what I'm Waiting on Wednesday!! Great movie and great book pick!